Godsmack fans – your wait is over. The Boston hard rockers are set to release their sixth studio album, ‘1000 hp’ on September 1. The album is the long awaited follow up to 2010’s ‘The Oracle’ and it’s sure to satiate any fan’s thirst for new music from the ever mighty quartet that is Godsmack. 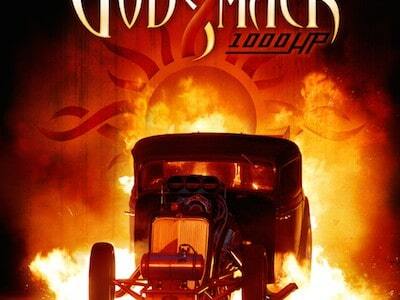 After a four year wait for new music from the band, we were itching for something new, and that’s exactly what Godsmack deliver in ‘1000 hp’. What’s in a name? Apparently, a lot, through the heavy and fast paced album’s title. The album’s title track is the perfect reintroduction to Godsmack’s sound, kicking off with the heavy sound that we know and love with a punk edge. 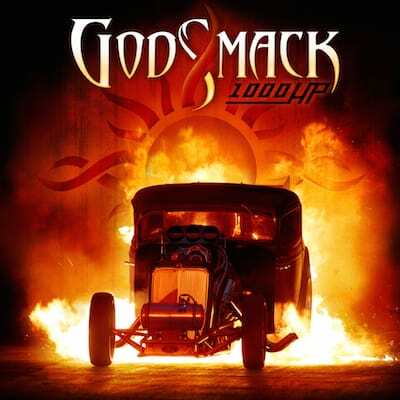 Kicking off with a revving engine followed by front man, Sully Erna’s declaration to ‘turn that sh*t up louder, make it all go faster’, ‘1000 hp’ is an epic introductory track to the album, setting a heavy precedent for the rest of the album that Godsmack not only meet, but exceed tenfold in every track. Godsmack have the impressive ability to challenge the norms of hard rock and consistently produce new and exciting music for nearly twenty years and this album is just another example of the band’s Midas touch on music. The flow of the album is exceptional from start to finish. With the help of producer, Dave Fortnam (Slipknot, Evanescence), each track contributes to the overall balance and integrity of the album as a whole. There aren’t any actual ‘slow’ songs on the album because, let’s be honest, it’s Godsmack. But the band have managed to counter faster tracks, such as ‘Something Different’ and ‘Locked and Loaded’ with slower and more substantial tracks like ‘Livin’ In The Gray’ and ‘I Don’t Belong’, creating another dimension and really building it up to be more than just another rock album. The real stand-out track of the album is ‘Generation Day’, an incredible display of musicianship from the band and a fantastic vocal showcase from Erna. This track has everything we ever could have wanted and more; a heavy intro of epic proportions, mesmerizing guitar riffs and the hard rock attitude that we love in every note. Erna’s vocals throughout the track lead to an impressive and entrancing instrumental breakdown that adds yet another dimension not only to the song, but to the album all together.